Who stood out in the Champions League? It was a cracking week of Champions League action, with strong results again for the Premier League clubs involved, as Manchester United, City and Liverpool all won while Chelsea and Tottenham drew against challenging opponents. We still won’t know for a while just how far the English sides can progress in this season’s competition, but it’s starting to shape up like our best chance in many years to see a winner based on these shores. With a penalty save and another all-round top draw display, Manchester City’s Ederson gets the nod in goal. Ahead of him, Liverpool youngster Trent Alexander-Arnold impressed and bagged himself a goal from right-back against Maribor. On the other side, we’ve gone for Aleksandar Kolarov at left-back after a goal and a tireless performance to help Roma to a 3-3 draw at Stamford Bridge. Although these two centre-backs were relatively untroubled, we’ve gone for Bayern Munich’s Mats Hummels for totally shutting out Celtic at the Allianz Arena, while Presnel Kimpembe showed maturity beyond his years with a commanding display as PSG thrashed Anderlecht 4-0. Okay, this midfield is probably far too attack-minded to be considered at all practical in a real-life match situation, but we couldn’t resist finding spaces for both Eden Hazard and Lionel Messi in a kind of 4-1-4-1 setup. Firstly, Naby Keita will have impressed Liverpool fans again with a commanding defensive midfield display for RB Leipzig, helping them to a 3-2 win over Porto. Ahead of him, Hazard scored twice for Chelsea to salvage a point against Roma, providing that kind of magic that so often makes him the difference in big games, while Messi was at his brilliant best to grab a goal and an assist as Barcelona beat Olympiacos. Finally, there was a lot of competition here, but we’ve gone for a front three of Roberto Firmino, Edin Dzeko and Kylian Mbappe. 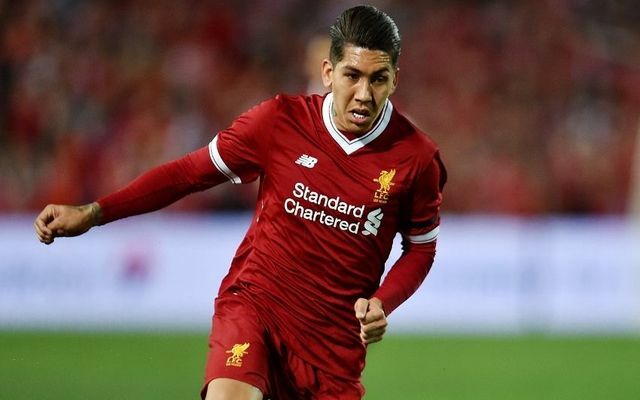 On the left, Firmino scored twice and bagged one assist as he starred for Liverpool in their 7-0 thrashing of Maribor. Bigger tests will come, but the Brazilian was superb on the night and has earned his place. Mbappe, meanwhile, made history by becoming the top scoring teenager in the Champions League, overtaking Patrick Kluivert. Oh, and he also managed an assist in another top class display. Finally, Dzeko was almost unplayable up front for Roma last night, scoring a wondergoal and then a fine header to give Roma a 3-2 lead against Chelsea. Although he could not guide them to a win, the former Manchester City man continued his remarkable improvement in the colours of the Italian giants.